We were recently invited by the IBM Node-RED team to co-present a webinar for the IBM Developer works. From IBM, Nick O’Leary and Dave Conway Jones – who are the original developers of Node-RED – presented an update on Node-RED and we followed up with a discussion of FRED and how our customers are using it. You can see the full webinar here – skip ahead to minute:29 if you want to see the FRED section. For those of you interested in the IIOT, you may want to check out a recent post by one of our customers – Lawrence Griffiths of Industrial IoT who has been working to connect industrial machinery to FRED and provide monitoring services for his customers. He’s using a variety of technologies, Node-RED and FRED of course, but also Modbus, BACnet, LoraWAN, MQTT and influxDB. You can read more by following the link below. 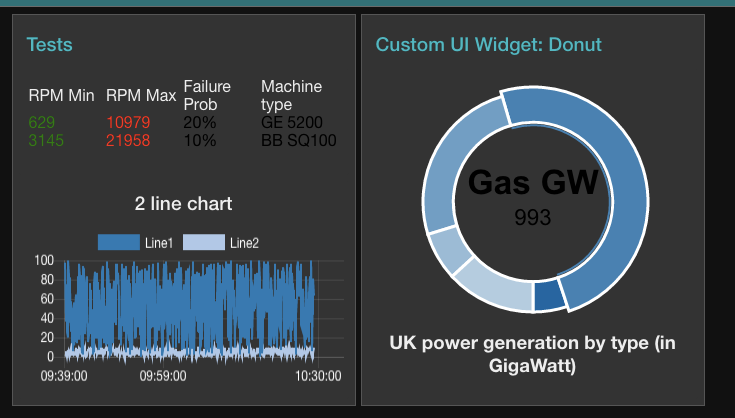 We’ve had some great feedback on our recently developed GE Predix nodes and have made a few updates to our tutorial to make things clearer. GE Predix is powerful, but like a lot of these things , it has a steep learning curve – hopefully our updated tutorial will help you climb it. Feel free to contact us if you want help with using FRED to access Predix. Please use this new pattern in your flows as we will be depreciating the old URL. However the old URL pattern will continue to work until further notice. We’ve also created some new tutorials to show how to use the template mode to create your own UI widgets. Such as those on the left. Don’t forget, if you want to share your dashboards and allow others to see them, you need to upgrade to a paid plan. You can use the Upgrade button on your management panel to do that. 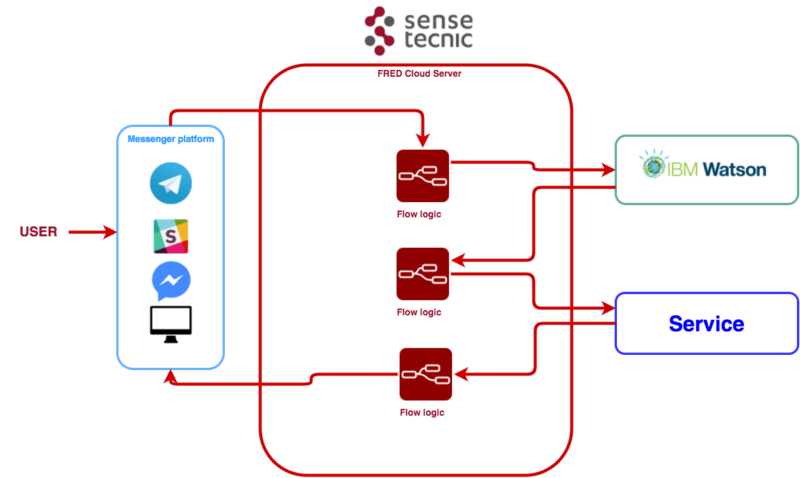 Interested in building your own Chat Bot in Node-RED making use of the IBM Watson service? – this tutorial is for you. We recently ported a subset of the Watson nodes to FRED and have developed an example of how to use them to access the IBM Watson Conversation service as the Natural Language Understanding (NLU) agent. There’s a variety of documentation available to help you get the most out of FRED and Node-RED – our main set of tutorials are available via the link below. If you have any questions or concerns, please contact us at info@sensetecnic.com.